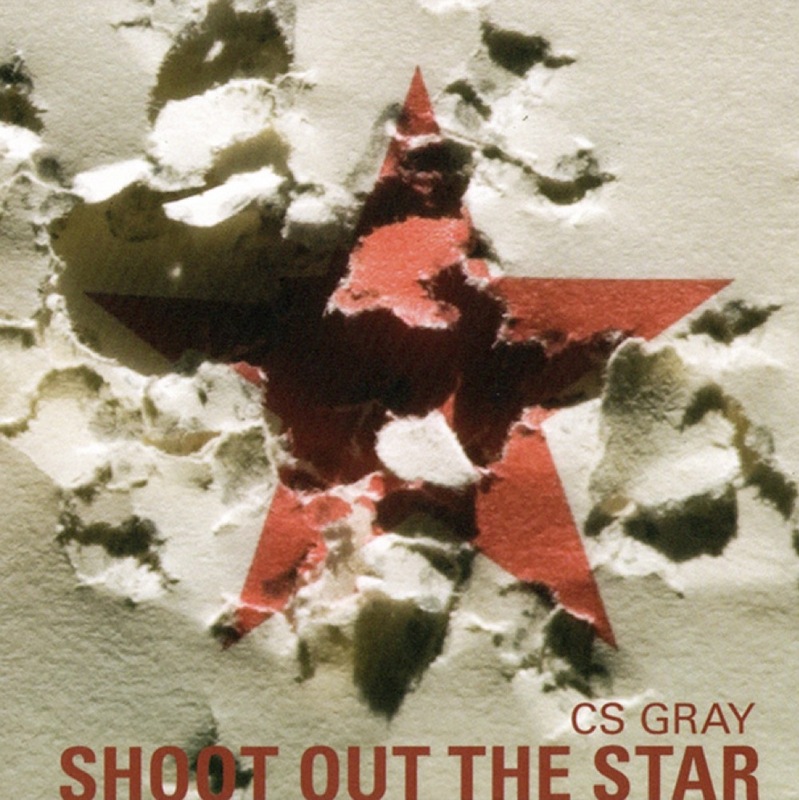 I have one major criticism of Shoot Out The Star: the title is written a bit too close to the bottom of the artwork. Some readers may be surprised, given my taste for the experimental and oppositional, that I could be that excited about a straightahead roots rock album. Perhaps ‘excited’ is the wrong word for how I feel: there’s certainly nothing here that radically reinterprets the genre, or forces me to reassess any of my carefully nurtured prejudices; but there are as many opportunities for creativity when working within an established style as when forging a new fusion. The generic conventions and phraseology of the music become its compositional building blocks, and it is possible to use them in the same way as first order musical materials (notes and rhythms), like John Ford using the American landscape to turn childish adventure stories into expressionist masterpieces. There’s a reason why certain styles endure: it’s because they work well as vehicles for a particular sort of meaning; and just because The Band (for example) expressed similar meanings some forty odd years ago makes them no less worthy of the effort. The kinds of meaning that CS Gray brings us on this album are persistent ones: he expresses a particular sort of subjectivity, one that is unique to the era of mass media, and mass cynicism toward it. This is post-Vietnam music, part of the big working-out set in motion by that moment of tragic disillusion: it is oppositional, in the sense that it encodes a fundamentally American experience of passionate, optimistic strength, spitting in the face of a morally compromised mainstream. In Europe, the archetype of the individual is an urban one, Baudelaire’s flaneur, the alienated modern subject; across the Atlantic the equivalent is the lone horseman in the wilderness, and (notwithstanding that there are European practitioners of this music) that is the figure whose ghost haunts music like this, and whose tragedy animates the passion with which these songs are imbued. Don’t get me wrong: I’m not saying that these songs are all directed at huge themes of American identity, but you don’t have to listen for long to be pretty convinced that the sensibility of this music is one that represents a critique of the values that brought us McDonalds, Britney Spears and drive-thru wedding chapels. No, the oppositional character of Shoot Out The Star is in its concern with the light and shade of the human heart, and its passionate valuation of the specificity of human experience. These country and blues tinged rock songs are performed with a deep groove, and deeper soul. Their roots are evident in their instrumental timbres, and the production sound: crisp, present drums; warm, round bass; natural sounding acoustic instruments; organic, subtly but richly overdriven electric guitars. The sound is lush without ever being smooth, and it has a clarity that is achieved without artificially EQing every part out of the way of everything else: in other words, each element interacts with every other element, sonically as well as musically. The arrangements show detailed and careful work, in a way that doesn’t deliberately dissemble its artifice, but that, nevertheless, you don’t notice, because it just works so well. None of the players has the chance to grandstand, and Gray, as leader, never does so himself. He’s an excellent vocalist, but he never shows off, and always leaves you remembering the song, not him. He’s working in a genre that has been so well trodden that it’s hard to be extremely distinctive without transgressing its boundaries, but he sounds like himself all the same. He has his influences, and you can hear Tom Petty in his voice in ‘Cause It’s Mine’, and Neil Young in all sorts of places (some mythical version of Neil Young who’s a bit better at singing! ); his is a mature voice however, and his influences are thoroughly integrated into a technique that is always completely subservient to the needs of the song. This record is full of great playing, great singing, perfect arrangements and intelligent production; music geeks will take note, and appreciate it, but these things are entirely not the point. I’d even go so far as to say the songs aren’t the point: the point is the totality that’s achieved when all these things combine, creating an emotional narrative that will touch many listeners, because it represents so precisely the uniqueness of experience that fills their own memories. There’s a sense of nostalgia to some of the lyrics, and an implied nostalgia in the choice of style, but the music itself is curiously free from any backward looking tendency. Shoot Out The Star is a clear sighted and beautiful album.